This was my third attempt at making this salad. I originally got the idea from a local Fresh Market that had mini ravioli in a sun-dried tomato oil-based pasta salad. I bought it because it had mini ravioli. That and because most pasta salads you find are mayo based and I don’t do mayo. While BD and I both liked their version, we both agreed there was too much seasoning and needed a little improvement. I’m happy with how this batch turned out because I was about ready to give up. Third times the charm! 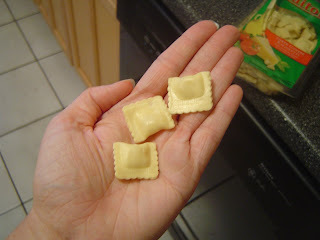 1- Cook the ravioli according to the package and set aside when done. In a sauté pan, melt butter and sauté mushrooms over medium high heat until lightly browned. About 8 minutes. Set aside to cool. Prep remaining ingredients. 2- In a blender or food processor add: sun dried tomatoes, oil from sun dried tomatoes, Italian Seasoning, EVOO, red wine vinegar, and garlic clove. Blend until incorporated. Taste for flavor and adjust accordingly. Should make approx 1 cup of dressing. 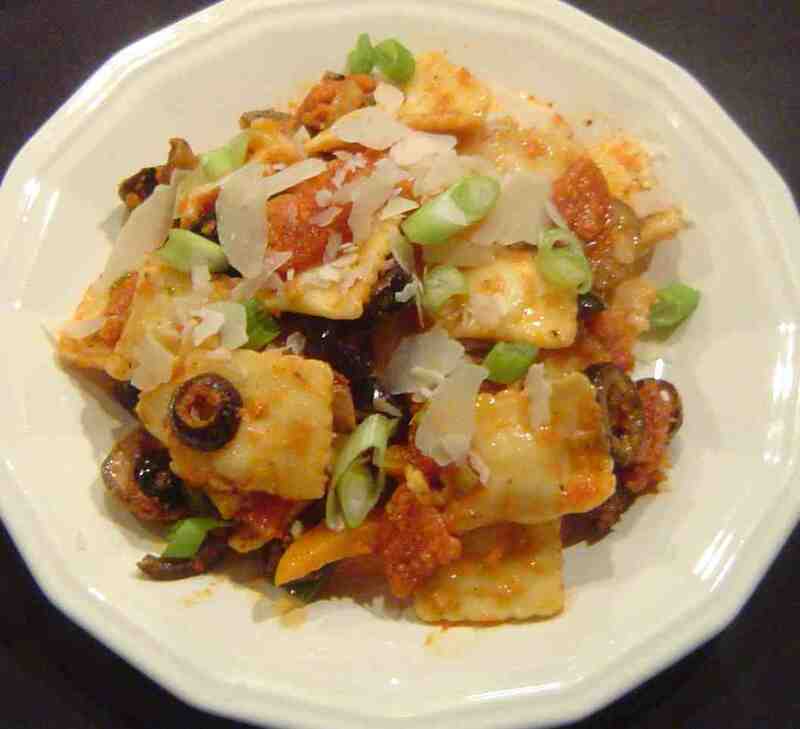 3- In a large bowl combine ravioli, mushrooms, pepperoni, scallions, black olives, and bell pepper. Toss together. Slowly add sun dried tomato dressing until you reach the desired amount. I only used about ¾ of a cup. Toss again, cover and refrigerate. *For the parmesan you can add it now or just sprinkle on top before you eat. Thoughts: You could serve this at room temperature but I liked it much more after the flavors had a little while to combine. Only using a few scallions was key this time and the onions flavor did not overpower the entire dish but instead added just a little oniony flavor goodness. And the fresh bell pepper added a nice fresh crunch to the salad. Rose- TBMK is right up my alley! what a beautiful pasta salad!! I love the little ravioli! Pasta salads are so tasty. And I ve never thought to use ravioli. I never had either Greek Yogurt! This looks wonderful! You've got to love any salad that involves pepperoni. Thanks for stopping by my blog! I discovered your blog site on google and check a few of your early posts. Continue to keep up the very good operate. Thanks for sharing this blog.